Well, after the overall positive reception of my previous obsession https://inkbunny.net/submissionview.php?id=477237 I decided to pick at another thread coming out of the poorly stitched sweater that is my mind. 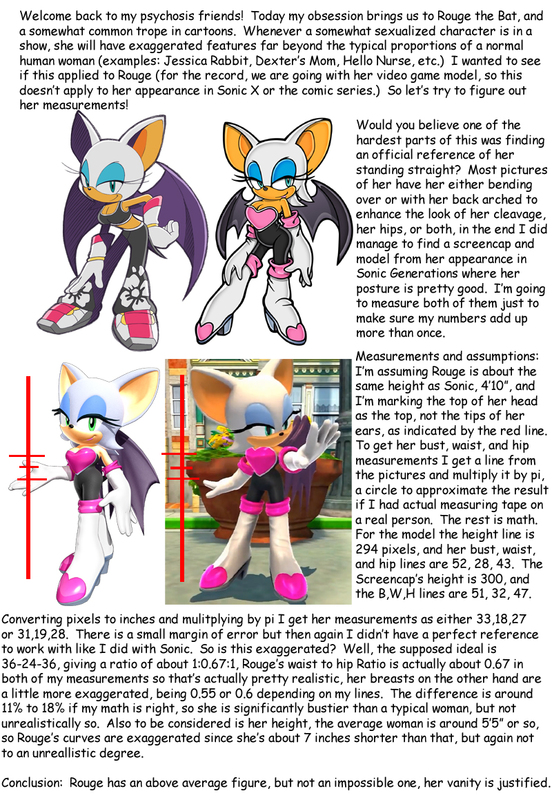 This time I wanted to see if Rouge had one of those impossible cartoon figures or if she's actually realistically proportioned. If you see faults in my math or reasoning (which you might if you're more into fashion or know more about professional models than I do) let me know in the comments.